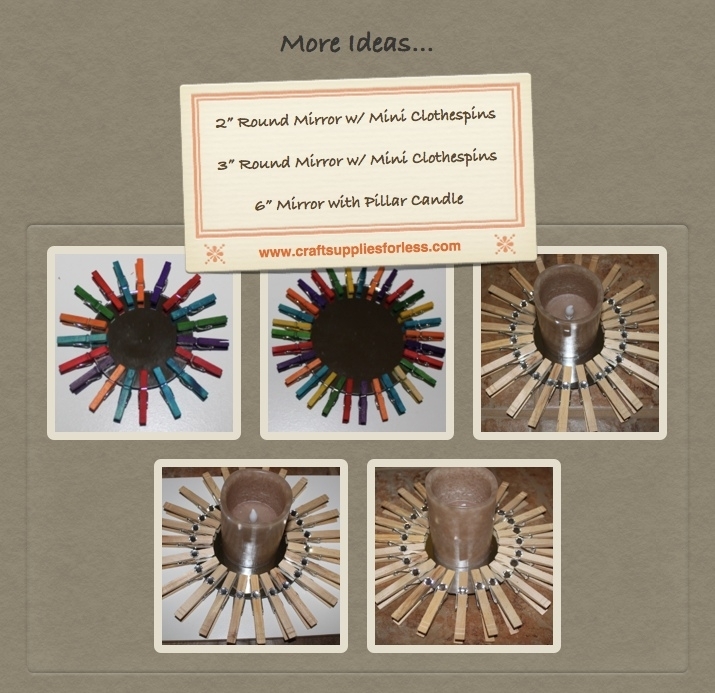 July 13, 2012 /0 Comments/in Craft Ideas, Craft Mirror Ideas /by Craft Supplies for Less, Inc. Create this rhinestone mirror in minutes! It’s simple and requires only a few inexpensive supplies. 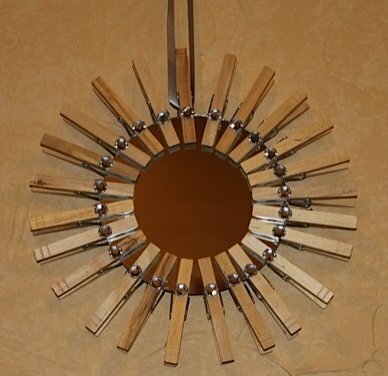 Made with a 6″ Round Mirror, Natural Clothespins, Rhinestones, and a small piece of Ribbon. This star burst mirror looks great hanging on any wall. Natural clothespins can be painted to match your decor. Or create an amazing design by adding scrapbook paper (with Mod Podge) to the clothespins. 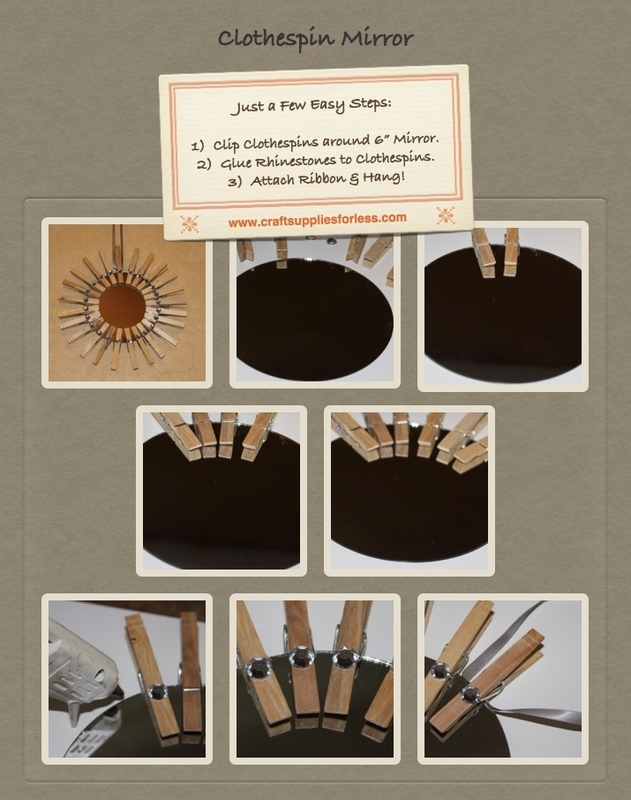 See our post on “Clothespin Magnets” for the tutorial on how to Mod Podge the clothespins. For extra sparkle, try adding glitter to the tops of the clothespins and bright colored rhinestones! This is a great weekend craft! Instead of hanging, use as a centerpiece! Add a pillar candle to the center. Make in your wedding colors!